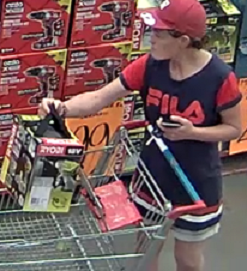 A female that police wish to question in relation to an alleged theft at a Keysborough hardware store. Police have released images to help investigate an alleged theft from a Keysborough hardware store. 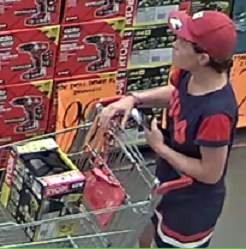 A female took a Ryobi cordless blower kit and a Ryobi cordless hammer drill from the store without attempting to pay about 10.40am on Saturday 2 February, police say. She reportedly got into a silver vehicle outside. It is believed to be a Holden. The released CCTV stills show a female that police wish to question about the incident. Any information to Crime Stoppers on 1800 333 000 or crimestoppersvic.com.au (quote incident number 190045543).